SPORAH TV: SPORAH AT PRIVATE HAIR PARTY WITH A FULLY ARRAY OF BEAUTY SERVICES RANGING FROM HAIR, MANICURE , PEDICURE AND A LOT OF OFFERS. SPORAH AT PRIVATE HAIR PARTY WITH A FULLY ARRAY OF BEAUTY SERVICES RANGING FROM HAIR, MANICURE , PEDICURE AND A LOT OF OFFERS. OMG, it was a day to remember, "Cherished Hair Party" it was all about fabulous hair. Mingle, network and winning amazing prizes as well as experiencing free manicures, hair styling and make-up applications and demos. It was a great day. You might be familiar with theee absolutely stunning Alisha White as a finalist in the best season of Britain’s Next Top Model and American's Next Top Model. ALISHA WHITE, Britain's Next Top Model Finalist. the cup cakes Super cute. 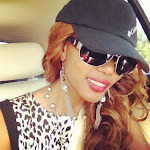 You are always on point Sporah!! thank you sporah this was a good deal. Thank you dear for sharing. Check your emails Sporah, i need some hair my dear. 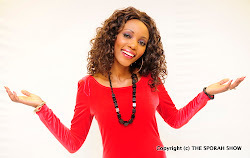 Hi sporah, am coming to London soon, plse plse I need nice hair. I will send you MSG on FB plse have a look and let me know. my dear, am in KENYA, w need to do a business here, Please get in touch, emailed you my NO already. 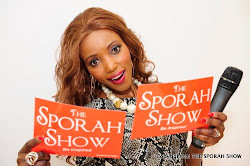 Love You Sporah and your show.